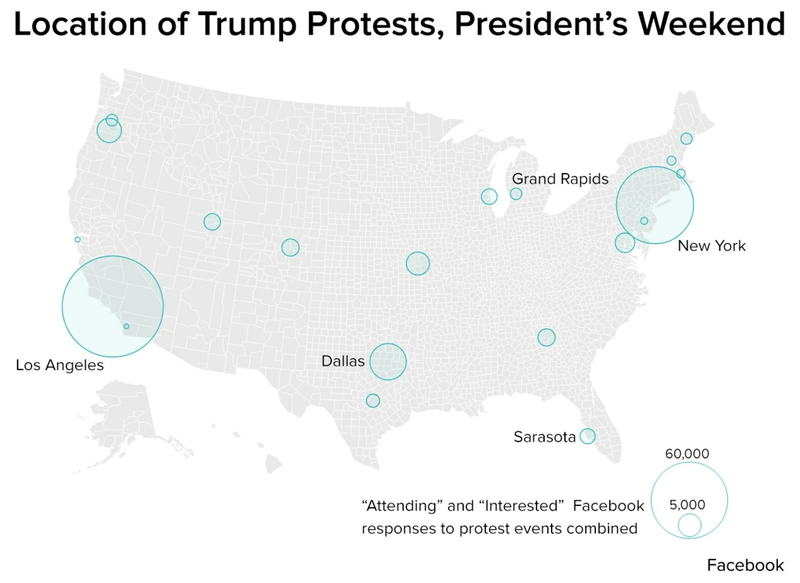 ‘Not My President’s Day’: Thousands Protest at Anti-Trump Rallies Across U.S.
By Admin / 20 Feb 2017 / Comments Off on ‘Not My President’s Day’: Thousands Protest at Anti-Trump Rallies Across U.S.
From coast to coast, thousands of people across the U.S. have spent their President’s Day holiday weekend attending rallies sparked by Donald Trump’s anti-immigration policies. Rally goers wielding signs in Dallas, Los Angeles and New York poured into the streets on Saturday calling for the establishment of sanctuary cities in order to end ICE raids. On Sunday, more than a thousand people rallied in New York City in support of Muslim Americans. Meanwhile, hundreds of scientists took to the streets of Boston urging Trump to recognize climate change and tackle environmental issues. They held signs in the shape of telescopes and beakers that read “Scientists Serving the Common Good.” The rally was taking place at the same time as the city’s yearly American Association for the Advancement of Science conference. Here’s a look at other rallies scheduled for Monday.